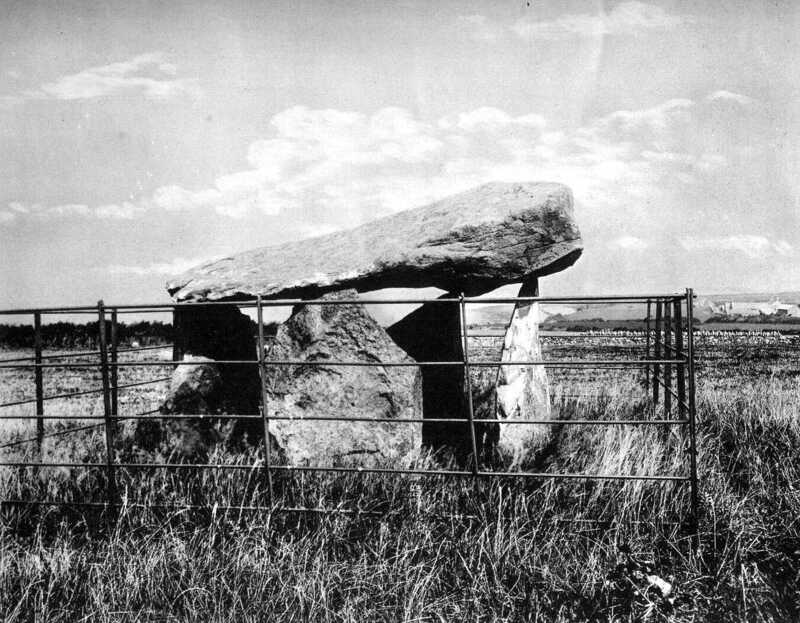 This Cromlech lies in a field belonging to Bachwen Farm about half a mile west of Clynnog Village. The capstone is eight feet long by four feet six inches wide, and is supported by four uprights varying from four feet to five feet in height. This Cromlech is remarkable owing to its having small artificial hollows all over the upper surface of the capstone. It is the only example of the kind we have in Wales, with the exception of a small stone in a field in Llanbedr parish, near Harlech. It is, also, I believe, the only Cromlech we have that has been properly closed in with strong iron railing. (See Arch. Camb. Vol.XIII 1867.